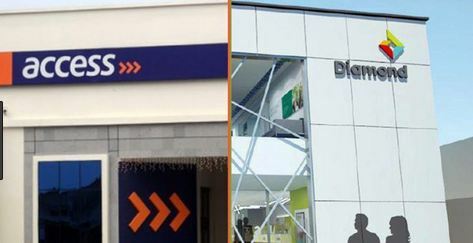 The merger between Access and Diamond Bank will achieve 12million BVN accounts or roughly a third of the total of the 36 million BVNs in Nigeria. This was disclosed at an expanded press parley yesterday at the Access Bank Head Office annex in Lagos. It was an opportunity for the media and the corporate communication teams of both banks to discuss further details of the planned merger expected to be completed before the end of H1, 2018. 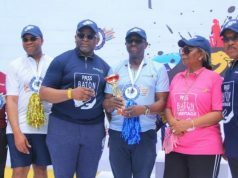 According to Mr Amaechi Okobi the Group Head of Corporate Communications for Access Bank Plc, the merger was all about creating value for the customers. On the part the Diamond Bank communication team it was explained that the memorandum of understanding (MOU) signed between both banks ties carefully into an Access Bank 2018-2022 strategic growth model , which will enable the new larger entity emerge as Africa’s largest financial gateway to the world. They assured that all digital Applications developed by both banks will be integrated, while Access Bank will increase its network across 15 countries and its franchise in Hong Kong. Described as a friendly combination, the merger (which was earlier plagued by investor anxiety, especially by the Carlyle Group) is expected to serve as a major support for the Nigerian economy, driving deeper and broader levels of financial inclusion. The projection is that Access Bank by the end of Q1, 2019 will have a customer base of 27 million, and a vast branch network which would retain staffers of both banks by way of conversion of some into digital experience centres and simply retraining and retooling others for new job specifications. All Access Bank platforms after the merger will be retained and customers will determine the scope of services, that the financial institutions will provide. Access Bank will hold an Extraordinary General Meeting (EGM), on February 1st, 2019 to get the approval of shareholders for the merger.